The Allendale is an ottoman storage bed that has gentle curves to both headboard and footboard. 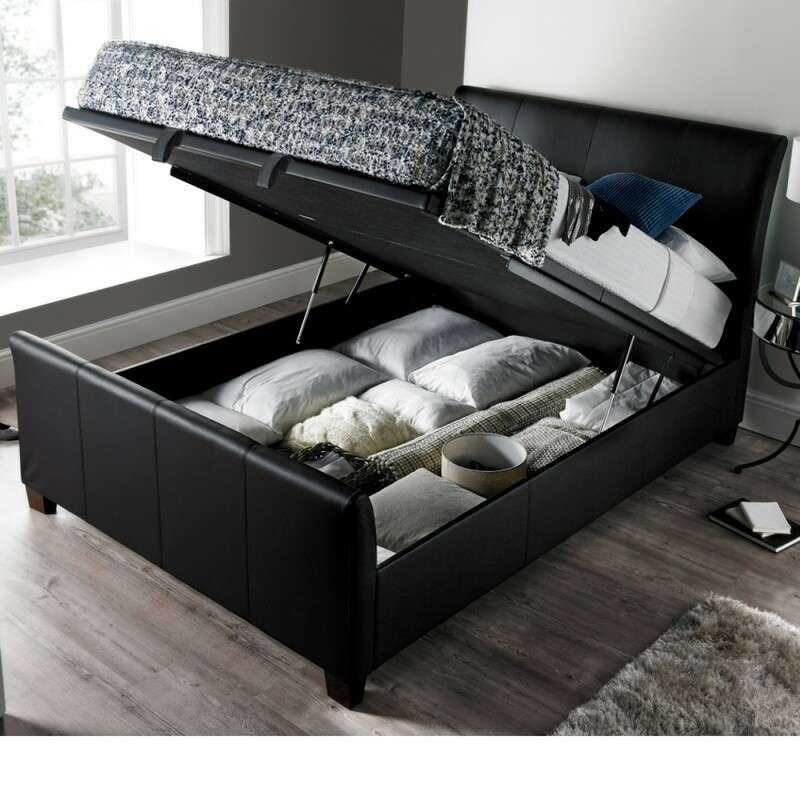 The bed is upholstered in textured leather with a large and spacious floating storage area beneath the mattress. The extra deep side rails increase the overall storage area and is accessible via the footend. 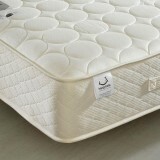 The materials used throughout on this bed are of premium quality. 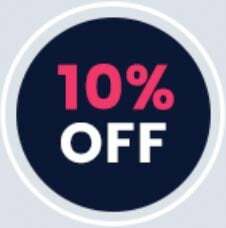 The bed frame is manufactured using a solid hardwood mix construction from plantation timbers and is upholstered withhigh quality bonded leather. There is a large floating storage area beneath the platform style ventilated base. 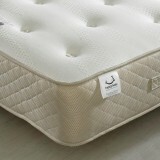 The platform base provides ventilation and support to your mattress. The platform base also means that anything that is stored beneath the mattress and base will not become covered in dust. The Middleton bed features a linear stitched design on head and foot ends. The bed also has detailed dark solid hardwood feet. There is a maximum mattress weight of 55KG and it is strongly recommended to remove everything (other than bedding) from the bed when accessing the storage area.